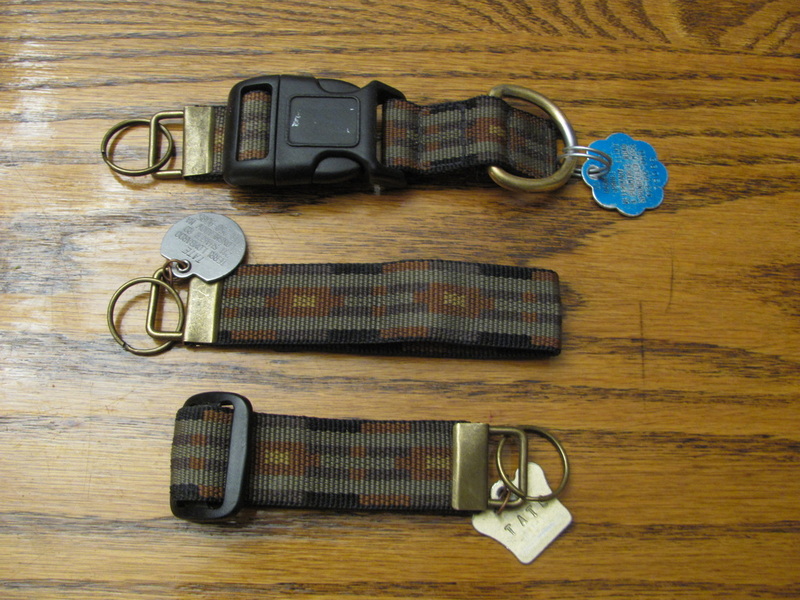 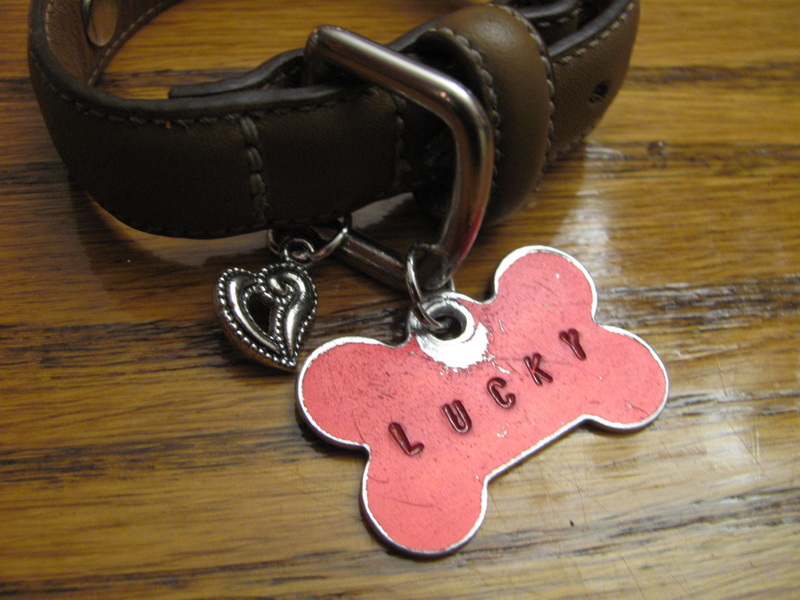 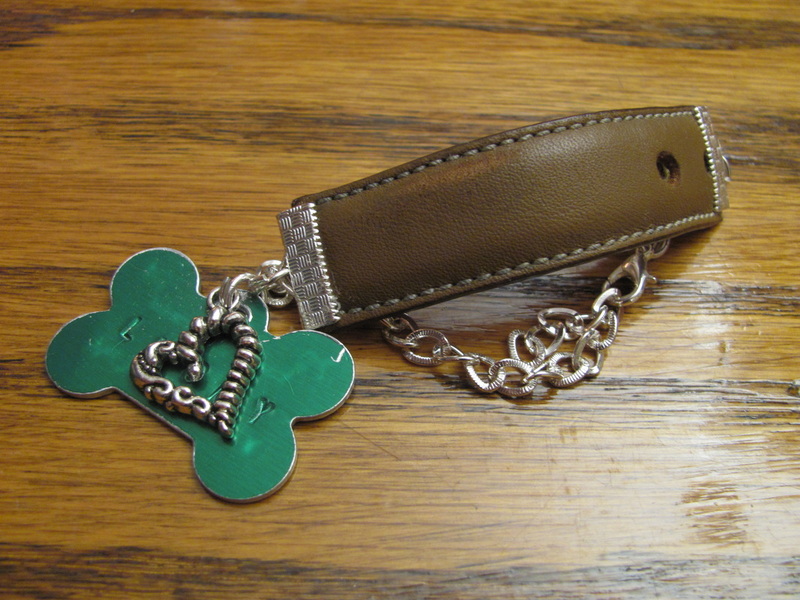 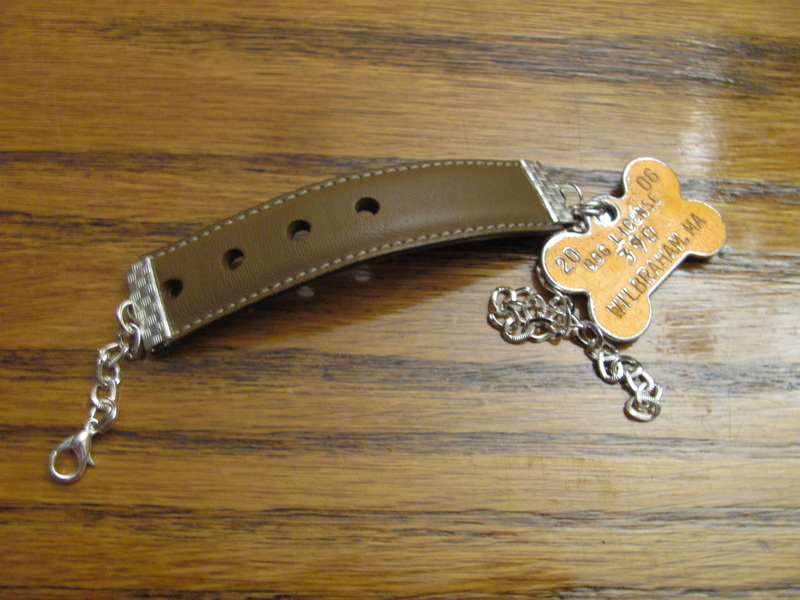 Do you have a doggy collar your pet has outgrown or worn out? Are you a pet lover and want something to memorialize your furry, scaly or feathered friend after they have sadly passed away? 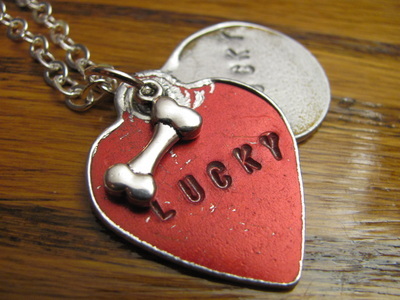 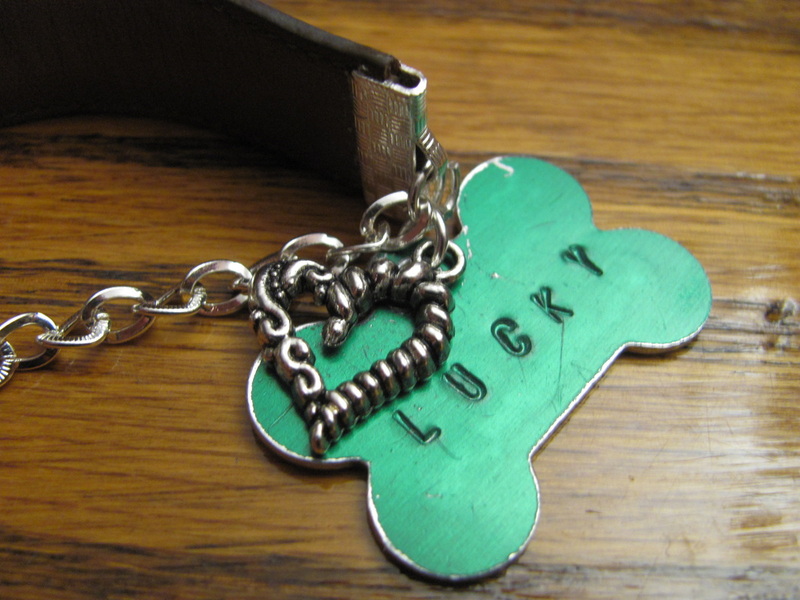 I do custom pet memorial jewelry. 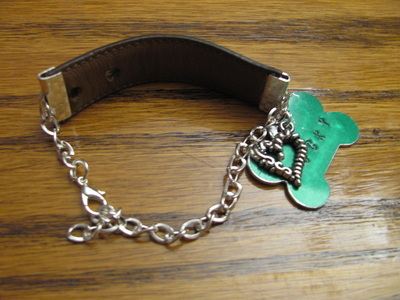 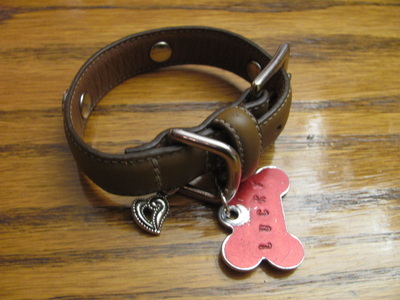 I have some examples below made from a small dog collar into 3 bracelets and necklaces. 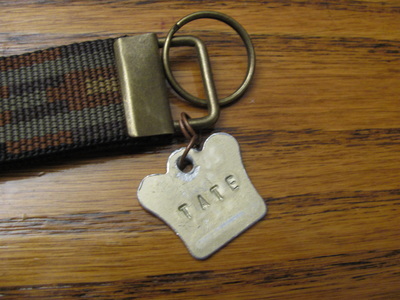 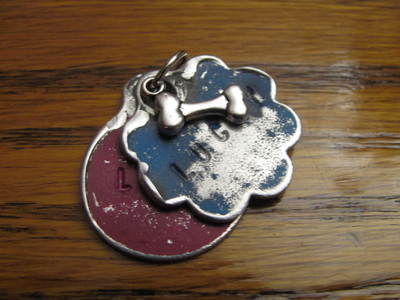 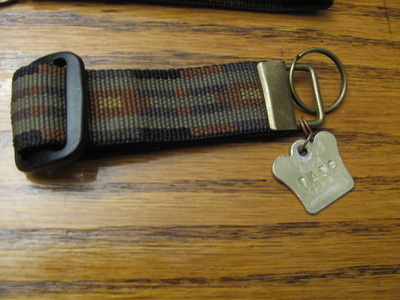 I custom stamped the dog's name into the back of the tags. 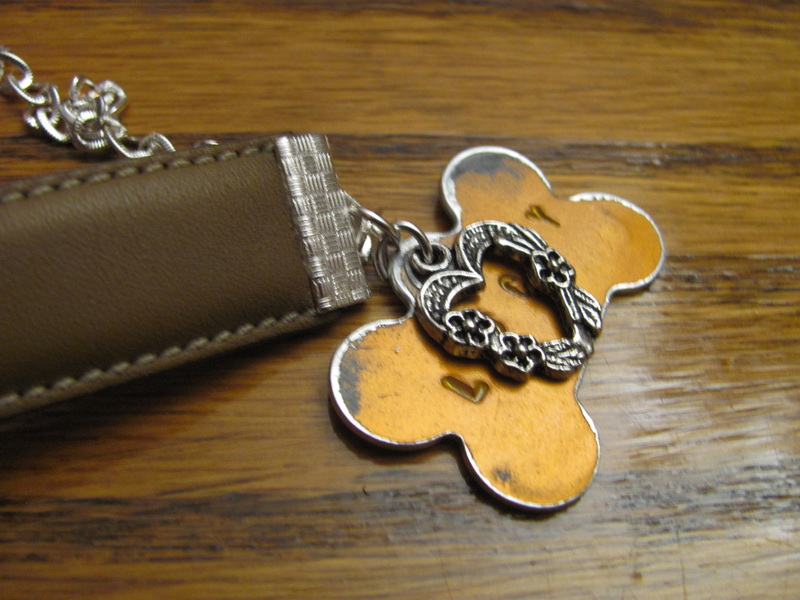 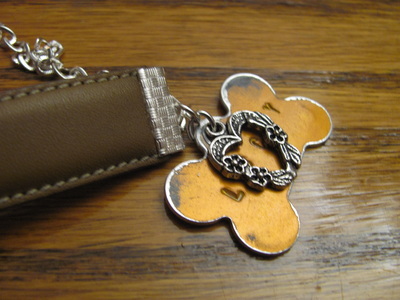 I also can make key chains with a silver or brass finish loop.